Open your books at the end of the month, the quarter, or the even the end of your company’s fiscal year. Hopefully you’ll see records that reveal strong numbers related to overall revenue and growth. Look a bit closer, though, and ask yourself: can you talk to these numbers merely in terms of sales, or in the relationships behind them? There’s no doubt that running a small business means being laser-focused on bringing money in the door, but if you’re constantly in the process of searching for (and winning) over new clients, the job will be twice as hard. Relationships act as force multipliers in business -- in other words, they tend to dramatically increase business results because they lead to loyalty, repeat business and advocacy via referrals to other customers and prospects. Of course, many small businesses recognize the value of strong customer relationships. The problem is that it’s easy to focus on how the relationship evolves once the sale is made or the product and service has been provided. The real secret is in getting to that point, which means thinking beyond merely making a pitch for what you’re selling and demonstrating a real desire to get to know customers first. Once you make a sales pitch, customers may follow up with a series of questions or ask you to dig up more details. A good sales strategy will involve making sure you have all those things at the ready, whether it’s a brochure, sales sheet or quote for a particular bundle. To some extent, having that kind of information to share is easy -- and it’s not enough. Great companies know their customers may be looking for ideas, inspiration or education on a wide manner of subjects, not all of which may be directly related to buying a product or service. That’s why a good relationship begins by showing you’re willing to save them time or or be the conduit for the best updates and advice on things that matter to them. The subject matter can be almost anything, as long as it shows you know your audience or have listened to their initial input, and if it’s offered with a genuine intent to bring them value. This is information that can be conveyed in person, but also through your blog, social media posts or email newsletter, among other channels. Working with a company is sometimes likened to getting married -- but in most cases, we like to get to know the person we’re marrying long before we walk down the aisle. That’s the whole point of an engagement. High-value customers sometimes want and need the same kind of thing. Before they hand over money or commit to a contract of some kind, for instance, customers might be more likely to trust a small business if they are given an opportunity to try a product or service at a discount for a period of time, or even free of charge. In other situations, particularly in B2B environments, a customer might want to run a “pilot project,” where they test a product or service in a limited way before making more full-fledged use of it. 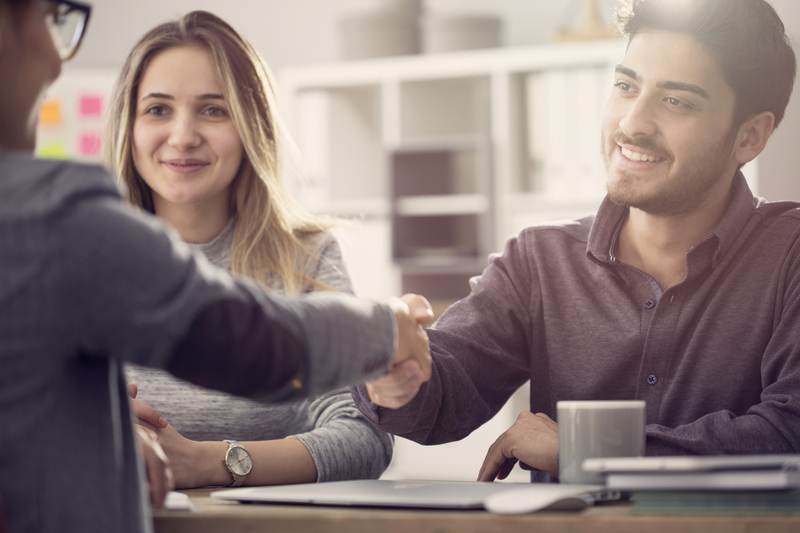 This might seem like a money-losing proposition at first, but it can go a long way toward proving you see value in the relationship, rather than being fixated on a mere transaction. Customers are seldom surprised when companies pass them from one employee to another, or who greet them as though for the first time, every time. It’s a refreshing delight, on the other hand, when you walk into a business and the person greeting you wants to learn your name right away, and who will recall what you bought and why you bought it the next time you visit. This might seem challenging to pull off when you’re a business dealing with a larger number of customers, but remember that technology plays a huge role here. First of all, many customers may engage with your firm primarily through digital channels, which offers you a way to gather lots of valuable data. Through a CRM like Sales Cloud and marketing automation like Marketing Cloud, meanwhile, you can then act on that information by segmenting content you send out, customizing based on communication preferences and more. Marketing to an audience of one is not only possible today -- it’s essential for long-term relationship building. If you manage to cover off all the areas above, you’ll hopefully get to the point where sales are made. This is when companies often show the most interest in the relationship, but just as the pre-sale moments are important, strong service and support are equally critical. That means you don’t simply sit back and wait for customers to come with questions or troubleshooting (although tools like Service Cloud can help with that). It also doesn’t mean you only reach out to customers when you have an updated version of a product to sell, or a new product. It means offering content that might suggest new ways to get value out of their purchase, sharing best practices from fellow customers and perhaps further fine-tuning the way you personalize your communications based on what you’ve learned since first getting to know them. When high-value customers enter into a real relationship, it changes the dynamic with their vendors completely, whether it’s a large enterprise or small business. When it comes time to sell again, for example, it’s a less formal pitching process. Instead, it’s having a conversation with someone who knows you, trusts you, and is certain you’ll treat them the way they want -- and expect -- to be treated.